This Bronx bred DJ known as THE WORLD FAMOUS BRUCIE B has had a stellar career that spans over three decades. Over this time period, he has had the experience of working with the most influential personalities in hip hop and has played a vital role in laying the foundation for this multi-billion dollar culture known as hip hop. As an adolescent, BRUCIE B was influenced by hip hop legends such as Kool Herc, DJ Smoky and the Smokatron, Grandmaster Flash, June Bug and Grand Wizard Theodore. He was instantly intrigued by the ability of these DJ's to control an audience over the course of a party. His intrigue escalated into passion and he began to pursue his own career as a DJ. In the late 1970's and early 1980's, BRUCIE B played at countless landmark venues throughout NYC. But the venue most synonymous with his name is "THE ROOFTOP". It is at this disco roller rink, Brucie B solidified his name in hip hop. For nearly a decade, the rooftop was the premier stage for many of today's hip hop icons. Doug E Fresh, Run-DMC, LL Cool J, Busy Bee, Bizmark and KRS-ONE are just a few of the names that as we say today "were in the building." But whether or not a rap performance was on the bill, the constant draw to the rooftop was the man on the turntables, BRUCIE B. His DJ sets were so powerful, there was an instant demand for the live audio recordings. Capitalizing on this demand, Brucie B was able to market and sell these audios to anxious consumers giving birth to the mixtape game. The big time hustlers of that era would pay upwards of $100 to be the first on the street to have the latest Rooftop mixtape (noexaggeration). BRUCIE B's career was blasting off, but as we see toO Often in this hip hop culture, a series of unfortunate events halted the career of "The World Famous". In 1989, a fatal shooting occurred at The Rooftop which permanently closed the venue. Subsequently, within a year's time, BRUCIE B was convicted and sentenced to three years on drug related charges. 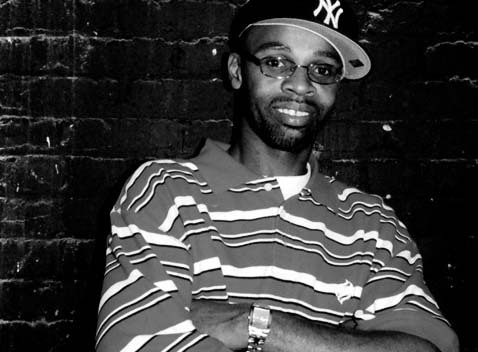 His Incarceration left a tremendous void in the mixtape game as well as the hip hop night club scene in the NYC area. This void jump started The careers of up and coming NYC DJ's such as Kid Capri, Ron Gee, and Doo Wop. In 1993, Brucie B was released from prison with his passion for the game still in tact. Once the word of his release hit the streets, calls from anxious promoters came pouring in. Brucie B was back andhe didn't lose a step. The timing seemed to be perfect. With hip hop growing faster than any other culture in American history, there was no shortage of work for BRUCIE B. In 1995, Sean "Puffy" Combs recruited BRUCIE B as the in-house DJ for Bad Boy Records. He toured with Puffy and Bad Boy bringing him national recognition. Building on his momentum, BRUCIE B teamed with two other hip hop icons, DJ Hollywood and LoveBug Starski, two form the group THE VETERANS. In 1998, this rap trio released the smash single 'The Medicine". This club banger, which featured sampled music from "The Benjamins", became a party anthem around the nation. In 2001, BRUCIE B expanded his resume by teaming up with Damon Dash and Roc-A-Fella Records. In this partnership, BRUCIE B landed a position as Music Consultant/Supervisor for the label. He was also featured in the 2002 release, "Paid in Full" which was a film based on a true Harlem story during the time period of the era of the Rooftop. BRUCIE B continues to have a good working relationship with Damon Dash through the Roc-A-Fella break up. Today, BRUCIE B is still one the culture's premier mixtape and club DJS. In October of 2005, BRUCIE B launched a new company B-U-NO ENTERTAINMENT. Under this company, BRUCIE B will launch a new clothing line, engage in artist management, and release three hundred volumes of exclusive Rooftop audio. A documentary based on the life of THE WORLD FAMOUS will be also be released under B-U-NO ENTERTAINMENT.